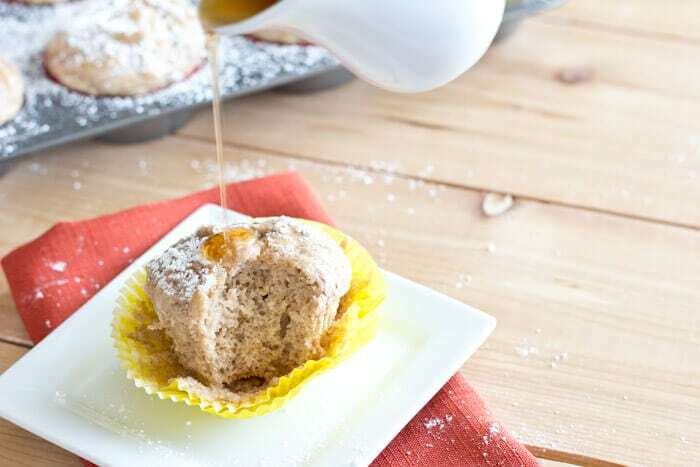 French Toast Muffins – Muffins with maple syrup and a hint of cinnamon, taste just like french toast. 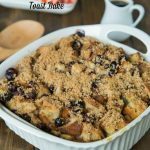 Top with powdered sugar and maple syrup for a true French Toast experience! We had a great weekend. My in laws were here to celebrate my sons birthday. He turns 7 on Wednesday. They were able to get a last minute flight out here to surprise him. He was very excited when he woke up Friday morning to find them here. They were able to see his flag football game yesterday. They didn’t win, but they played so much better than the week before. My 6 year old even managed to get 4 flags! He was so proud of himself. They have another game tonight, and 2 practices this week, so it will be a week full of football here! It has been far too long since I have given you a muffin recipe. 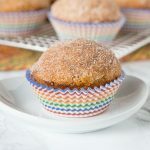 I made some with the left over Easter candy, but they never made it to the photo shoot 🙂 I made these french toast muffins last week, and they were a hit. They really do taste like french toast in a muffin form. You even get to have a little syrup on top 🙂 As usual, I froze the leftovers, and they were still moist and tasty when I took them out. My 6 year old told me “Mommy, you always make the best home made stuff”. 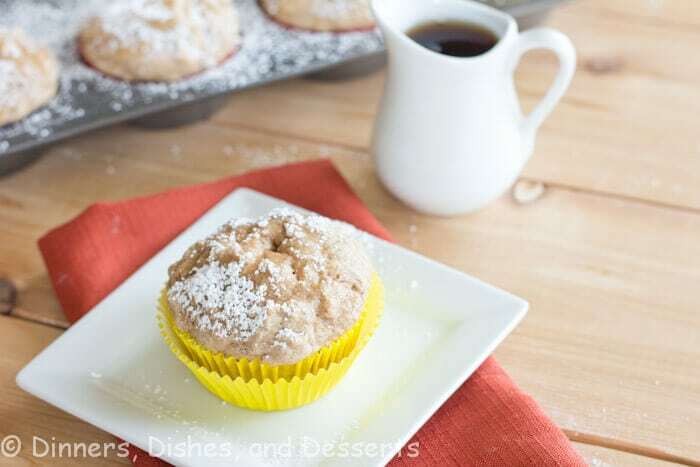 French Toast Muffins - Muffins with maple syrup and a hint of cinnamon, taste just like french toast. 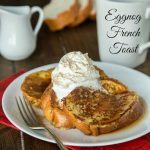 Top with powdered sugar and maple syrup for a true French Toast experience! Preheat the oven to 400 degrees. 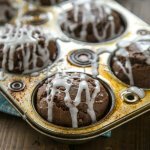 Prepare 12 cup muffin tin with liners or non-stick spray. Combine flour, sugar, baking powder, baking soda, cinnamon, and salt. Set aside. Whisk together buttermilk, egg, and melted butter. Stir in flour mixture until just combined. Will muffin tins about 2/3rd's full. Bake for 12 minutes, until a tester comes out clean. Using a knife poke holes in the top of the muffins. Spoon maple syrup over each muffin. Dust with powdered sugar to serve. Serve with additional maple syrup if desired. 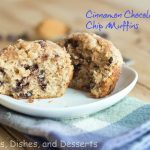 You need to do a muffin cookbook! I didn’t get to have breakfast this morning. But, if I did, I’d totally want this. Well, 2 of them. Ohhh, gorgeous! I love these muffins!! I love that you added only 1/4 cup of sugar to them!!! 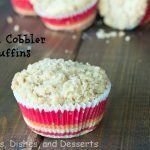 These will be great to make this week! 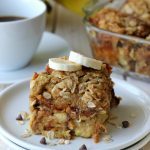 French toast in muffin form??? Yum! This looks like my kind of muffin!! Happy birthday to your little guy. Time sure flies! 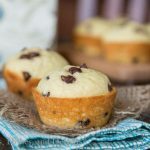 These muffins are just brilliant! 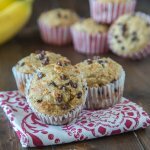 Erin, I recently stumbled upon pancake muffins but FRENCH TOAST muffins? These are to die for. 🙂 Happy bday to your little son! These little muffins are so creative, Erin! Love that you used maple syrup in the recipe. Happy birthday to your son! Yes, yes, yes! These look absolutely amazing. 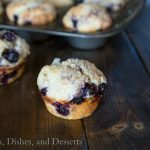 I’m a big muffin fan, so I can’t wait to test these out! Yum! Happy birthday with your little guy – hope he enjoys time with the g-parents! This is such a creative recipe!! And now I can take french toast to work with me! 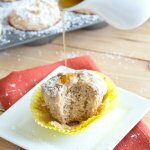 French toast in muffin form is my kind of muffin! You put syrup on muffins? What a fantastic idea! They look great. French toast is my favorite lazy morning breakfast. –I love these muffins. What a great idea for a brunch. WOW. Oh boy – these would disappear very quickly in my house. Great recipe! 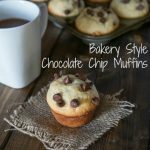 Aw, I love your son’s comment 🙂 These sound like a perfect breakfast muffin! Oh my….these look yummy! I would love to have one of these for breakfast! Awww what a sweet thing for your son to say! That would have totally made my day! 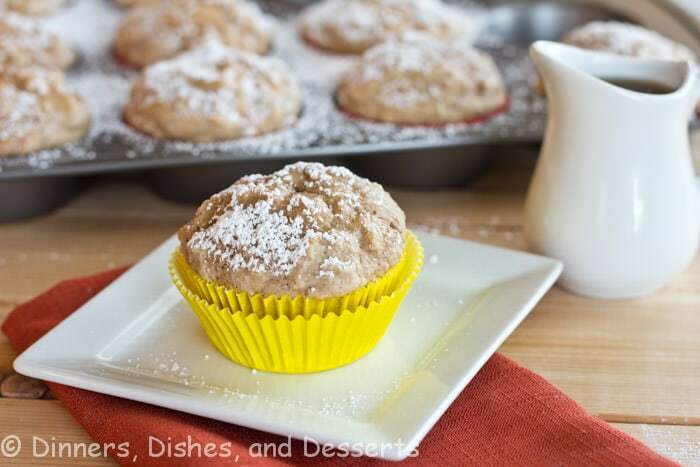 And these muffins sound great. I bet everyone in my family would think they were a hit too. 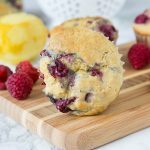 French toast is one of my all-time favourite breakfasts…and I love muffins, so what is not to love about this combo!!?!? Ohh, yum!! What a fabulous idea for a muffin, Erin! I agree, you make the best homemade stuff!